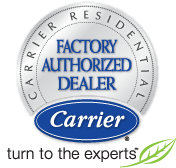 For fast, reliable air conditioning service in Dover NJ that you can trust, call the experts at All Week Air Conditioning. We’ve been assisting clients in the area with AC installations and air conditioning repairs for 30 years. Our technicians are NATE certified, ensuring that our air conditioning company is one that you can rely on for expert HVAC care. These issues and many more can occur seemingly out of nowhere. Many times, the problem is that routine preventative maintenance has not been done to care for the system. From the compressor to the thermostat, our experts will identify the source of the problem and fix it in the most cost-effective way. In addition to repairs, we can also provide you with a maintenance service package to ensure that your system stays in good shape, year after year. Whether you need an AC repair service or AC installations, you can count on All Week Air Conditioning in Dover NJ. We’re the skilled air conditioning company that clients trust for repairs and installations.t for repairs and installations.